The Michael Jordan vehicle, “Space Jam,” came out 23 years ago in 1996 and also starred Bill Murray, Wayne Knight, Larry Bird, Charles Barkley, Patrick Ewin, and Larry Johnson. It had brilliant timing because the Warner Bros. Looney Tunes smash hit coincided with Michael Jordan giving up minor league baseball and returning to the Chicago Bulls effectively un-retiring from the game he dominated for so long. Jordan would go on to win three consecutive championships. And now that LeBron James is headlining “Space Jam 2” he’s having a hard time getting players to be in it alongside of him but was shocked to learn about one NBA star who turned it down flatly. It was officially announced earlier this year that LeBron James would star in the upcoming “Space Jam” sequel. The original’s plot centered around all the Looney Tunes being forced to play a basketball team against the Monstars to earn their freedom – so they coerce the help of “retired” basketball player Michael Jordan. 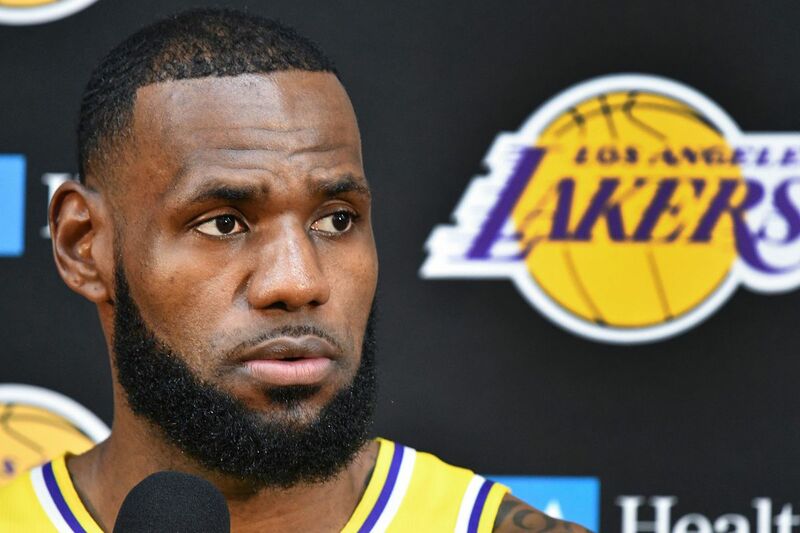 Expected July 2021, LeBron James plans to film the sequel during the offseason, which for him began this week because the Los Angeles Lakers missed the playoffs. Looks like they’re going to get a head start on principal photography considering everyone expected James to at least make the playoffs. But in the original, the Monstars stole the talent from Charles Barkley, Patrick Ewing, Larry Bird, Larry Johnson, and Shawn Bradley. So if that’s any indication, James will have to get current NBA players for bit roles in “Space Jam 2” and it’s proving to be a lot harder to retain their services. The total non-starter for the Athens Greece native being it would have required him to give up two weeks of private workouts to train with his fellow stars. Outside of Giannis, It’s likely that Windhorst is probably referring to the most obvious ones like Russell Westbrook, Kevin Durant, Kawhi Leonard, Anthony Davis, Steph Curry, Klay Thompson, etc. Some of them are free agents this summer. But Hall of Famer Tracey McGrady has an excellent point. If some of these guys contractually obligate themselves to the movie then James may have expectations that they’ll want to join forces with him in Los Angeles. It puts an unwanted pressure on those players. And it was reported that Giannis was really high on LeBron’s list, which was not only a huge blow to the production, but to James’ ego as well. James was likely shocked because he has this notion that everyone wants to be around him. They don’t though. Anthony Davis, Kawhi Leonard and Paul George all expressed that they didn’t have any interest in playing with “The King.” Looks like this is the beginning of the end for James’ career.